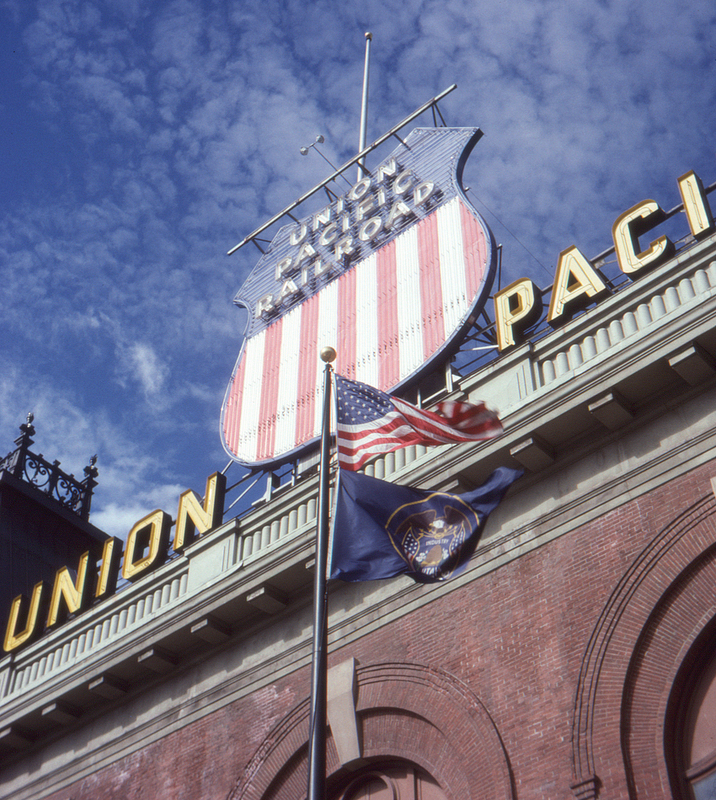 By 1998 the Union Pacific was the only United States Class I railroad still operating under its original name. The original "shield" herald dates back to 1887; as first introduced it was white lettering on a solid black background, with the stripes added in 1888 along with the use of red, white and blue colors and a banner with the slogan "The Overland Route." The banner was removed in 1942, creating today's familiar herald.